- PREMIUM!! - COLD WEATHER PACK!! This BMW includes: PREMIUM PKG Mirror Memory Power Mirror(s) Seat Memory Auto-Dimming Rearview Mirror Universal Garage Door Opener Power Passenger Seat Power Driver Seat Passenger Adjustable Lumbar Bluetooth Connection Telematics Leather Seats Power Folding Mirrors Driver Adjustable Lumbar COLD WEATHER PKG Rear Bench Seat Heated Front Seat(s) Pass-Through Rear Seat HEATED FRONT SEATS Heated Front Seat(s) ALPINE WHITE BEIGE, DAKOTA LEATHER SEAT TRIM Leather Seats *Note - For third party subscriptions or services, please contact the dealer for more information. * When you purchase a vehicle with the CARFAX Buyback Guarantee, you're getting what you paid for. 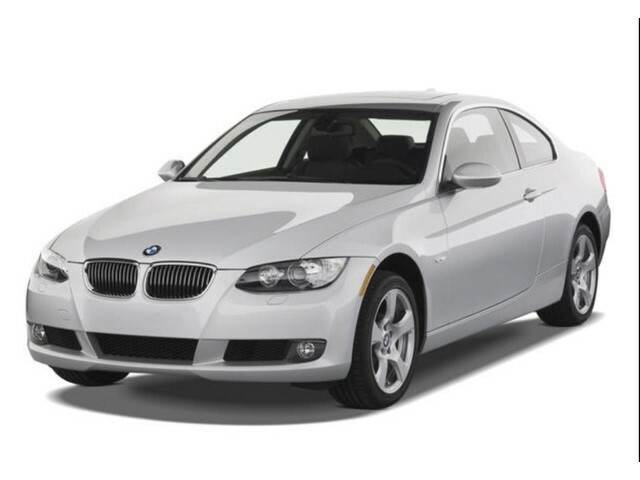 This BMW 328i xDrive is equipped with AWD for improved handling. Whether you're faced with inclement weather or just out enjoying the twisting back road, you'll have the grip of AWD on your side. The 328i xDrive - PREMIUM!! - COLD WEATHER PACK!! has been lightly driven and there is little to no wear and tear on this vehicle. The care taken on this gently used vehicle is reflective of the 111,000mi put on this BMW. Added comfort with contemporary style is the leather interior to heighten the quality and craftsmanship for the BMW 328i xDrive More information about the 2009 BMW 328i xDrive: The 2009 BMW 3-Series continues to be the benchmark against which other entry-level luxury cars are measured, mainly courtesy of its excellent driving experience. Power, braking and handling are perfectly matched to the vehicle's size and intended usage. The way BMW takes care of business inside the cockpit also has a lot to do with the popularity of this breed. The 3-Series makes sure no buyer is left behind by offering four body styles, three engines, and both rear- and all-wheel drive. 2009 sees a new twin-turbo diesel form of the 3-Series, providing excellent fuel efficiency on top of world-class performance. Strengths of this model include wide variety of bodies and drivetrains, the near-supercar performing M3., Driving pleasure par excellence, and the best inline 6-cylinder engines for those who love motoring We look forward to seeing you soon! Please call us for more information.